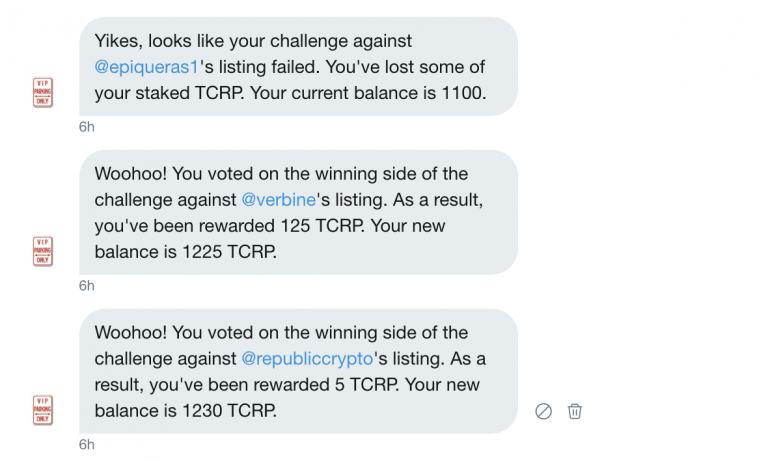 The TCR Party, as its dubbed, is being run by ConsenSys project Alpine, which is populated by the former token design team from Token Foundry, which has seen its fortunes shift with the winds of the token space writ-large. There are several projects working on TCRs of their own, including mapping startup FOAM and advertising startup MetaX. However, both Rocco and Gattuso are skeptical about TCRs, concerned that they inevitably become plutocratic popularity contests where people amass disproportionate control through token holdings.